Over the last few years we have been observing a change in customers behavior. From going to the store, waiting in a line and paying with cash, to ordering goods from a smartphone and paying with digital money. Nowadays consumers expect personalised, frictionless buying experience. What does it mean to business owners? According to a study by KPMG, UK’s overall Customer Experience Excellence has reached record low. This is a threat to British brands, especially because American companies have significantly improved their Customer Experience. As described by Deloitte in the “Digital Transformation Drives Customer Engagement” report, customers are willing to cooperate with businesses which can rapidly respond to their needs, behaviors and expectations. Flexibility became one of the decisive factors whether or not to be a loyal customer and loyal customers are the best brand ambassadors. This is the reason why customer engagement is an opportunity for businesses. Nowadays customer engagement is based on creation of new experiences. Customers enjoy self-service solutions like Uber or Aribnb. We have already discussed the topic of bots, but how can it affect B2C sector? It goes far beyond the opening hours and being able to respond to customers inquiries 24/7. All of the services we use every day require a customer service which is as good, flexible and technologically advanced as the service itself. Chatbot technology allows us to create a virtual assistant which can substitute a sales person. 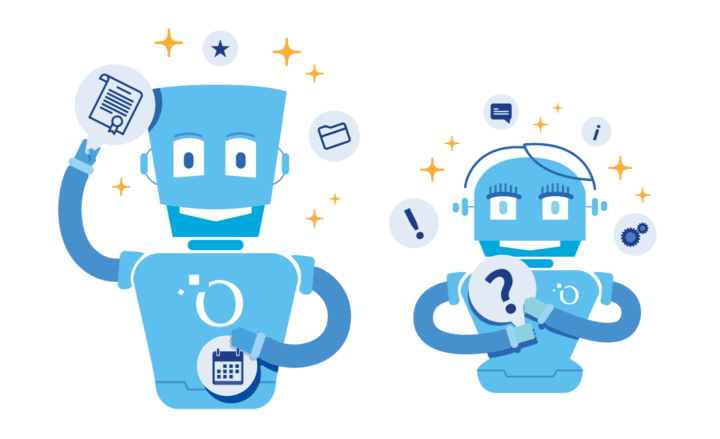 A chatbot is able to answer all questions which sales assistants are facing. If a customer wants to buy a blue sofa from a certain department store, a chatbot can show all blue sofas with all characteristics including dimensions and fabric. At the same time, the customer can measure which sofa will fit in the living room and ask a chatbot to check the availability in the nearest store. Finally, a chatbot can even order selected sofa and provide delivery options. The whole process can take just a few minutes or as long as the customer needs. And while one customer is choosing a blue sofa, hundreds of other customers ask at the same time. No lines, no waiting, better customer service. There is no denying that Customer Engagement plays and will continue to play a significant role in the economy. Chatbots will be more and more popular, especially because 71% of customers want to solve most of their customer service issues on their own and preferably without talking to a live person. If you’d like to learn more about innovative solutions supporting Customer Engagement, contact us. Everyone wants to deliver exceptional work, but experience and talent are a small part of it. Motivation is what keeps you going. So how do you make sure your teams stay motivated in an agile environment? How do you support your people – each with different needs – when projects and objectives can change instantly?